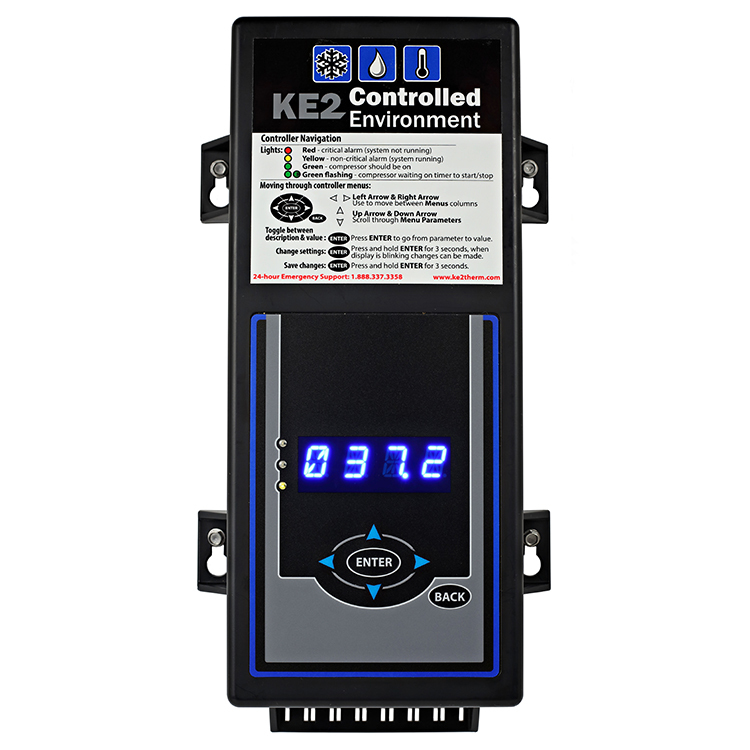 By maintaining both temperature and humidity, the KE2 Controlled Environment preserves product integrity, reduces spoilage and prevents shrinkage. Temperature is maintained precisely, providing the ideal product environment for the application. In addition to food storage for vegetables, fruits, and meats, the KE2 Controlled Environment is ideal for conditioned spaces such as ripening rooms, clean rooms, document storage, meat curing rooms, tobacco storage, wine and more.